It is requisite for all foreign nationals who want to work and live in Norway to have a residence permit as well as a Norway work visa. There are various types of residence permits which one can apply for, each with unique application procedures. The requirements of the documentation must be enclosed with the application. As a general rule, all requests for residence permits must be submitted in person at the Foreign Service station of Norway where one is a citizen. For those who live in countries outside their countries of origin, the requirement is that they must have had a job or residence permit in that country for the last six months before the date the application was submitted. The Norwegian Ministry defines seasonal work as that which can only be done during specific times of the year as a result of climatic variations or fluctuations in the availability of materials used in this type of jobs. As such, some of these seasonal industries include agriculture, forestry, and plant nurseries. However, odd jobs such as painting and carpentry are not categorized as part of odd jobs. One can be granted a residence permit for seasonal work not exceeding six months. Furthermore, skilled workers are required to have completed vocational training for a particular occupation. As a minimum, the education must correspond to the Norwegian upper secondary school level. Nevertheless, special consideration is given to applicants with special qualifications who must have gained the expertise through professional experience over a specified duration of time. 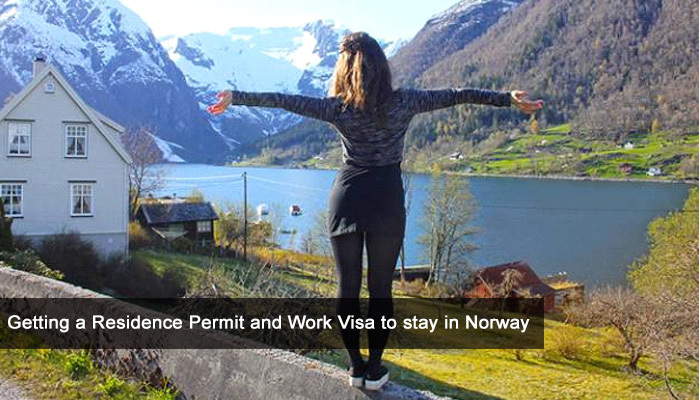 Besides, a skilled worker permit and Norway work visa are only granted through special qualifications in unique circumstances, but still, necessary documentation is required. As such, the expertise of the applicant must be stated as relevant to the position. This means that the position a person is offered must be the type that requires a qualified, skilled worker apart from the applicant also possessing the expertise in question. So as to qualify for a Norwegian work visa, an applicant must have received a concrete offer from an employer in Norway. The proposal should contain the position to be filled by the candidate, the hourly wage to be earned and the total working hours per week. Also important is the duration of the employment offer. For those jobs that require academic education but are not covered by a pay scale, the employee will be paid according to the Norwegian state employee’s collective agreement.